Submitted by Alexander Briones on Jan. 10, 2018. Originally published on Apr. 28, 2016 and updated on Jan 11, 2018. Passive PA Speakers are designed to work in conjunction with an external power amplifier, be it a stand-alone power amp or a powered mixing console. Compared to active speakers which have amplifiers built-into their cabinets, passive speakers have less components. This is why they are generally lighter, and easier to maintain - traits that many consider as important. Here we take an updated look at the best passive PA Speakers in the sub-$1000 price range, ideal for small to medium sized venues of up to a few hundred people. The typical setup is to have these speakers in pairs, for proper left and right channel audio separation. Note that your choice and setup should match the the specs of you're amplifier. This is the price range where most people get their passive speakers from, so it's not surprising to know that this is where competition gets really tough - with manufacturers continually improving the quality of their products. A $1000 budget could afford you two or more of these passive speakers, and some will even give you enough change for getting accessories. Peavey is known for their expansive line of quality and affordable musical instruments and equipment. As a testament to this, you'll find their products often dominate the popular and top rated categories at many online retailers. The PVX 15 is a great example of their design strategy, an affordable yet full featured speaker. Sporting a 15" diameter woofer and a 1.4" tweeter, it has surprising versatility and low-frequency capacity, comparable to other more expensive cabinets. 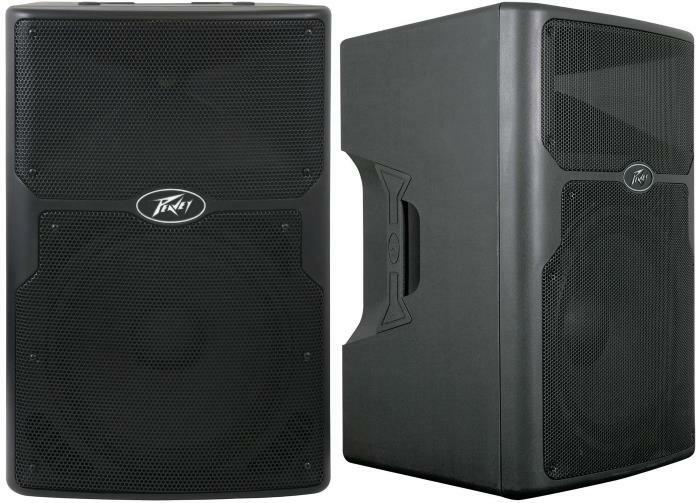 Many experts and users point to the Peavey PVX 15's value for money as its best trait. For the price, most reviewers are impressed with its sound and build quality. There are plenty of reports from satisfied users who used the speakers in various scenarios, from light music playback in a backyard party, to full on DJ sets. Its versatile mounting design also gathered a lot commendations, it can stand on a pole, be suspended for elevated positioning, and it can be set on the floor as a stage monitor. There are some who wish that the speaker is a bit lighter, but they are thankful for the good placement and quality of the handles. There is one user who reported that the sound is muffled compared to expensive powered speaker, but he was still happy with it overall, considering the price. With its impressive value for money, the Peavey PVX 15 is highly recommended. Great if you're not sure what to get and if your budget is limited. JBL secures another spot in this list with the JRX215, an affordable passive PA speaker System with 15" woofer and 1" tweeter. This passive speaker has good power handling for the price. It also has an impressive peak capacity of 1000W, more than capable of being driven hard. And since its from JBL, you can be assured of quality and reliability that will give you years of good use. As expected of JBL, many reviewers and professionals say that this speaker sounds clean and detailed, and it does so even when driven hard. Many are impressed with its overall sound quality, especially how it handles the low-end, which is quite surprising for something that's very affordable. The JBL JRX215 continues to gather commendations, from users who are happy with how good it performed at various events including concerts, church programs and band performances. To get the price this low, JBL somewhat compromised on the cosmetics department, which had some reviewers complaining. Still, if you are after great sound as you should be, these are but minor gripes. This is a great budget passive speaker from a reputable manufacturer, which should be considered when you're looking for a good 15" passive PA speaker. 90 out of 100. Incorporating 125+ ratings and reviews. Coming from the popular budget-friendly brand, the Behringer B1520 Pro offers good specs at a very reasonable price point. To start with, it houses a 15" LF Driver and a 1.75" HF Driver, both of which are big for the price. As expected, it is not meant for big venues, but it can handle small to medium venues quite well with its peak power handling of 1200W and max SPL of 96dB. The Behringer B1520 Pro continues to rake in positive reviews from many DJs, musicians, sound engineers and event coordinators. And one user summarizes market sentiment nicely by saying that it is unbelievably good for its price. Sound clarity, good bottom end, balanced highs and lows, and good dispersion are just a few of the many commendations it has gathered. Build quality also got a lot of thumbs up, even from those who are doing mobile gigs. Some users cautioned that the B1520 is not to be driven hard, but they report that when used within proper settings, it does work well. There were some who encountered issues after some use, but they were able to get in and make the fixes themselves. 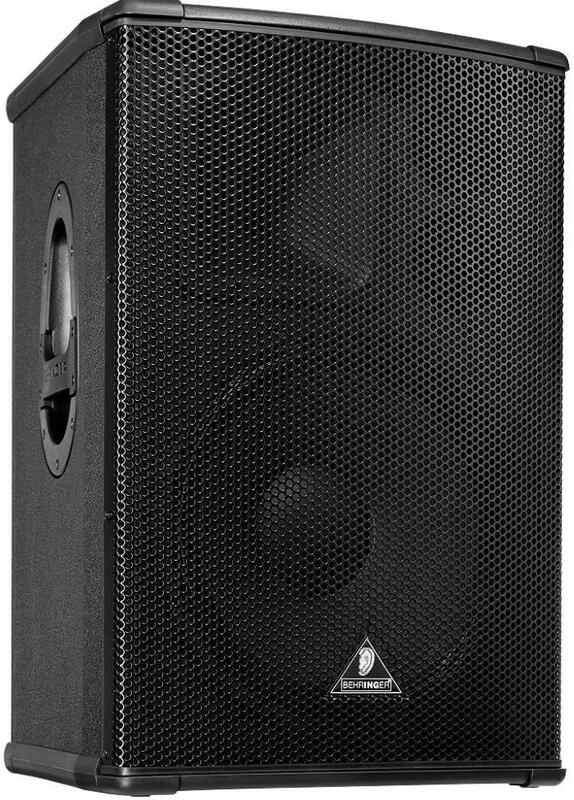 For the price the Behringer B1520 is quite the deal, check it out if you're looking for a budget-friendly 15" passive speaker with good low end. Mackie continues to grow in prominence in the cut-throat entry level market, and they do so with their products' impressive quality and value. Case in point is the Mackie C300z, a popular passive pa speaker for small venues, that currently holds the top rating in this list. With its 12" woofer, 1.75" titanium tweeter and lower 300W RMS rating, the C300z is meant to provide great sonic clarity at appropriate volumes fit for coffee shops, book stores, art galleries and the like. It's also light which is great for mobile use, and can be suspended in case you want a more permanent position. Positive reviews show how users love the speaker's clear and detailed sounds. It impresses users who employ the C300z for both speaking engagements and band performances, and they gladly recommend it to others because of its crisp and clear sound. It is also surprisingly loud for a 300W RMS rated cabinet, as commented by one reviewer who successfully used them on his stadium DJ gig. There are comments about lack of bottom end for some musical applications, but they are satisfied with its performance for most musical applications. Some are concerned about the speaker's exterior, but majority agree that it should be sturdy enough for regular use as long as it is properly handled. 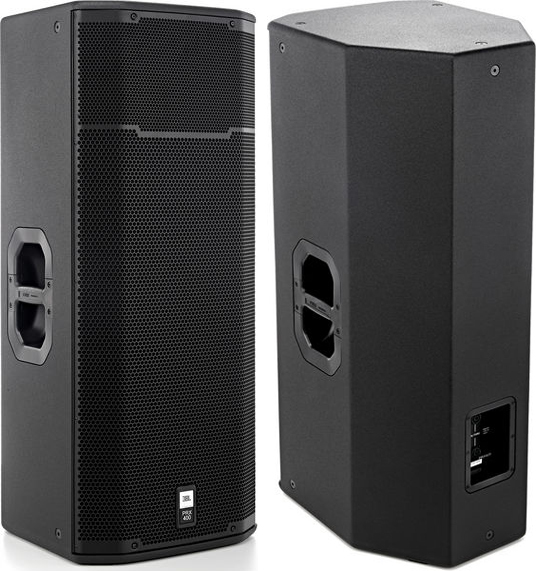 If you are looking for a pair of FOH speakers that can fill small venues with great sound, then the Mackie C300z is worth checking out. From bars, to clubs, to houses of worship, the Yamaha Club series has been used in all types of venues and settings through the years. And on its 5th generation, Yamaha updated the design with larger enclosures, stronger grilles, improved drivers and more - to make them viable for the needs of modern stages while still retaining accessible price tags. The S115V is included in this line up, and is easily one of the most popular and highly rated 15" passive speakers in the market today, thanks to its impressive specs on paper, which translates well in real world use. Yamaha is known for the quality of their entry to mid-tier level equipment, and this applies to the S115V as attested to by the many positive ratings that it received. Many are happy with its volume and sound, and they found it to be really good for the money. Longevity is also a common theme among its many positive reviews, many report using the S115V for years without much issue, and praising it for its consistent and reliable performance. There are some who commented that low end can be lacking at times, especially when the speakers are pushed to output bass-heavy tunes. Another point of contention is how "old school" the speakers look, but it shouldn't be an issue unless you already have modern looking speakers to match it with. 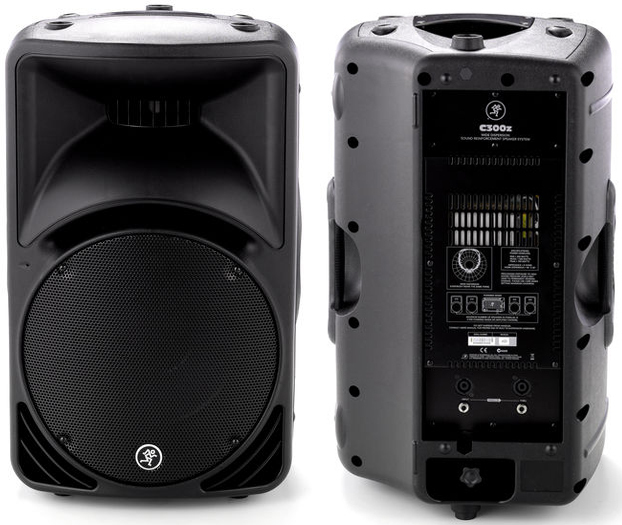 This speaker is highly recommended for small to medium sized venues, specifically if you need speech clarity and the ability to handle full band performances in one unit. Interestingly, there aren't that many reviews for passive speakers in this price range, so we ended up with just three that we could be confident recommending. Still these are worth while investments that provide reliable years of use, mounting versatility, loudness and great sound. JBL is easily one of the most familiar brands when it comes to speaker cabinets, so it's not surprising to find them taking a couple of slots in this list. 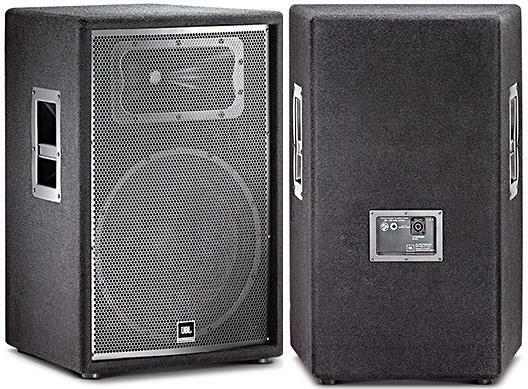 The JBL PRX425 speaker cabinet houses two 12" woofers (also called LF "Low Frequency" drivers) that provide double the volume and low-end while still retaining the balance and clarity expected of 12" speakers. While it maybe pricey, the cost is justified by its dual LF driver design and high power handling, allowing it to easily fill up mid-size venues without the need for subwoofers. It also comes with SonicGuard technology which protects the HF driver from excessive power. The common sentiment among reviewers is that this passive speaker can move lots of air. And its not just about being loud, because many are just as impressed with its incredible clarity, even when driven quite hard! 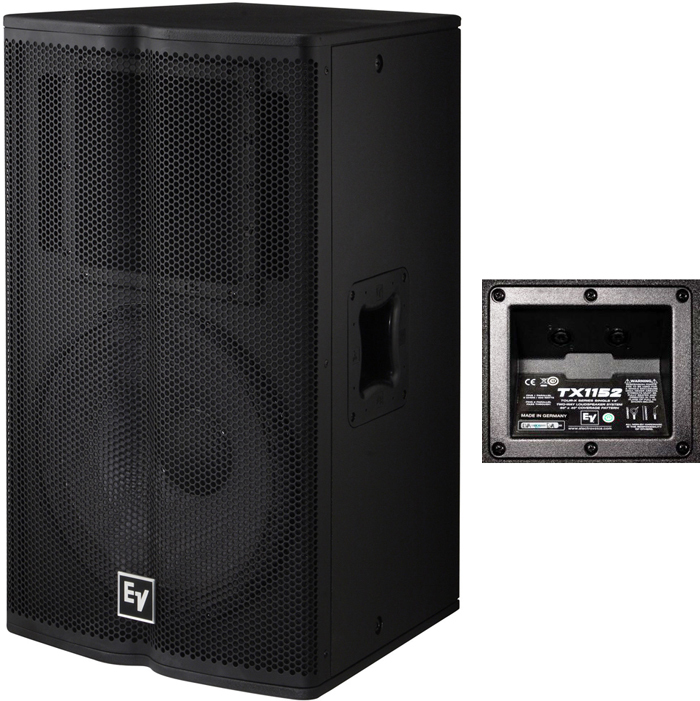 Some users have successfully employed this speaker on multiple medium to big size venues, covering various events that include speaking engagements, bands and even bass-heavy DJ/Electronic dance music. The majority of reviewers are also very happy with the speaker's overall build quality and reliability. There aren't really any complaints about the sound, but it would be understandable that some users complain about its bulk and weight. 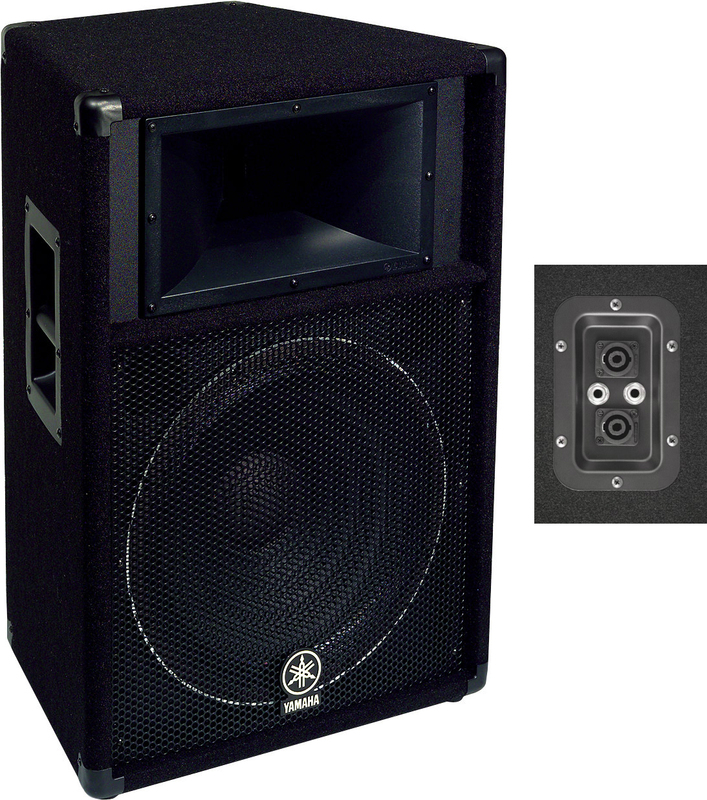 All in all, this is a great value speaker for those looking for a cabinet that can handle mid to big size venues. The TX1152 gets the brand Electro-Voice a spot in this list with its impressive clarity and low frequency handling. With its 15" LF Driver, this speaker is more than capable of handling heavy bass, while the 1.25" titanium compression driver ensures that you're not compromising top end. To be able to handle jolts of heavy bass, it has a high peak capacity of 2000W, and a max SPL (sound pressure level) of 133dB. Other nifty features include dent resistant grilles, four way handles and rotating logo. Mentioning that this speaker sounds really good and that it can get loud, is a common theme among the written reviews. Some users describe it as having similar sonic definition to studio monitors, and there was one who even compared it to expensive QSC speakers with satisfactory results. There were some who expressed concern over the bulk and weight of the speaker, along with the exposed side grilles which can be hit from time to time. They are however willing to look over these minor qualms for the overall performance of the TX1152. If you're looking for more bass from your PA system and you are willing to invest, then this is your best bet. 92 out of 100. Incorporating 10+ ratings and reviews. Incorporated on June 1, 1930, Electro-Voice has a long history of building professional quality music equipment. From professional artists like Stevie Wonder to hobbyists, many continue to support and recommend their products. The ZX3 Series gets EV into this list with its combination of sonic versatility and positioning flexibility. While others only have LF and HF drivers, the ZX3-90 comes with a 2" voice coil driver that adds even more clarity, balance and realism to the resulting sound. It can also be employed in various positions, thanks to its speaker stand ready design, along with anchor plates for single stud fittings. Most reviews are in agreement that the ZX3 has a very balanced and clear sound. But what really surprised most users is its light weight, especially when considering its 1200W Program power rating and 131 dB Max SPL. It also helps that the ZX3 has multi-mount compatibility, so you can have it on a stand, attach it to a wall or even the ceiling, or use its wedge shape to make it serve as a floor monitor when needed. Not many complaints on this one, aside from a few that commented on the ZX3-90's relatively small size, still, they are surprised by how much volume it can produce. If you're looking for a do-it-all type of passive speaker, and you have the budget for pro quality, then the Electro-Voice ZX3-90 may appeal to you. PA Speaker power ratings are most often listed values for Continuous (also often called RMS), Program (sometimes called Music) and Peak power. But what do these mean? Continuous power refers to a worst case scenario where you are blasting the speaker with sound at all frequencies (pink noise to be specific) for hours and hours on end. The biggest problem with speakers tends to be overheating and this doesn't allow the speaker to take a break and cool down. Unless you are an avant garde pink noise outfit with pieces lasting hours your actual music won't stress the speakers this hard. Manufacturers also list Program or Music Power which is just about always double the Continuous Power rating. This is the rating for some version of 'typical' music power loads where there is dynamic range and periods of relative quiet which allows the speakers to cool down. Peak power refers to how much your speakers can produce for an 'instant' which can both cause a lot of heat and is the limit to which the diaphragm of the speaker can safely move. The Peak power listed is nearly always double the music power and four times the Continuous Power. You'd think that matching up the Continuous RMS Power with the output power of your amp would be safest and best bet but it turns out that many recommend a more powerful amp than this rating. A typical recommendation is about double this level which as we've learned above is generally Program or Music Power. So if you have a passive speaker that has a continuous power rating of 500W, the optimal amplifier to use is one rated 1000W or close to that. The reasoning is that apart from getting the most out of your speakers for typical loads, you are less likely to turn you amp up too high which can lead to a clipped/distorted signal rather like a square wave. A clipped signal from you power amp is the worst kind of signal for you're speaker and can damage them even at lower power levels. There are even those who recommend an amp that goes all the way up to the Peak Power. On the other hand some recommend that matching to Continuous RMS Power is the safest bet. From our research the main point is to make sure your power amplifier doesn't go into the red whatever the power rating and that using around double the Continuous RMS rating is appropriate for normal music loads. The typical load for speakers are 4, 6 or 8 ohms (Ω). The safest route is to have an amplifier that matches the load (4 ohm amp output to 4 ohm speaker). Low impedance speakers cause amplifiers with high impedance outputs to work harder, which result in audio clipping or worse - faster heat build up that may damage your equipment. So pairing your speaker impedance properly is important to preserve your amplifier and speaker, and to have a clear sound. The wattage ratings of PA speakers relate to how much power they use up and this doesn't always relate directly to how much sound they can produce. This is because speakers vary in their efficiency at producing sound vs heat. The speaker efficiency rating is called Sensitivity which is how loud in decibels (db) it will be 1 meter from the speakers with 1 watt of power. The overall maximum loudness of the speakers is the Maximum SPL which is also measured at 1 meter in front of the speaker. While this can be a useful comparison point, it's important to point out that this doesn't give you a consistent measure of what levels of clarity and precision there are at these high levels so apart from cranking the speakers and listening from a safe distance, the best method is to check what others have experienced using the speakers in real life situations. Fortunately for you this is what we've done and incorporated into the Gearank scores. The top rated passive speakers have either 12" or 15" woofers, which suggests that these two speaker sizes are the most ideal for most PA systems. The general difference is that bigger 15" speakers offer more punch and low end (although not as much as a subwoofer), at the cost of overwhelming some of the highs. They also tend to be more expensive and heavier. 12" speakers offer a more balanced sound for most applications, but may not be enough for bass-heavy music. Also worth considering is the size of the tweeter, the presence of a midrange woofer, and the type of material used for the cone and tweeter. Since there are no built-in amplifiers inside the cabinet, passive speakers are expected to be lighter. This makes them ideal for mobile productions that move from place to place. Other portability friendly features to watch out for include stand/hang compatibility, handle location, size, and of course the actual weight. This guide is a follow up to our powered PA speakers guide, with focus on all readily available unpowered PA speakers in the market. For this update, we ended up increasing the total number of speakers we examined to 17 and we also gathered over 1,700 relevant data from various reviews, ratings, discussions and commendations. Finally, all these data were processed by the Gearank Algorithm, which then gave us the scores that helped us further narrow down the list to just the very best. Like the first iteration, the list is broken down into two price categories for convenience. For more information about our processes see How Gearank Works. Note that this guide is focused on the main PA speakers you use for the audience to hear your music, click here if you're looking for stage monitors. If you feel there is a speaker which should be included above, first check to see if it's in our Gearank Database, then let us know in the comments below if you would like us to consider including it. Submitted by Dan (not verified) on May. 2, 2016. Really informative! I haven't bought new speakers in ages, and you just saved me loads of research time. Thanks! Submitted by Alexander Briones on May. 2, 2016. Submitted by T Bone D (not verified) on May. 15, 2016. You reviewed the Behringer VS1520, but I am interested in the more robust B1520 Pro. Any info or comparison to these available? Submitted by Jason Horton on May. 17, 2016. The Behringer B1520 PRO was originally left out of this list because it wasn't immediately available or didn't have any customer reviews at several major online retailers. I have just processed it to find its Gearank score and it came out equal to the VS1520 - you can see the Gearank score here. Submitted by Bao Luu (not verified) on Feb. 16, 2017. Thanks for the very helpful information. How do you rate the Behringer B215XL vs. B212XL? I've added the B215XL to our public database so you can compare both the B215XL & B212XL here. A question by Burton Brown about powered PA speakers has been moved to the Powered PA Speaker Guide. singing in an outdoor environment? 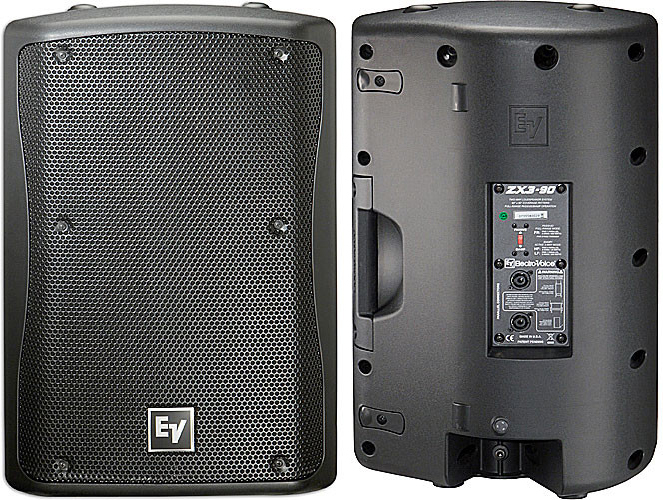 The Mackie Thump12 is a powered speaker, not a passive speaker like the ones in this guide. You can see its current Gearank score here. It's not one of the powered speakers that we currently recommend, you can see our recommendations in the guide to The Best Powered PA Speakers. Submitted by Hampus (not verified) on Aug. 16, 2017. What do you think of the Rockville SPG15s? Have you tried them out? I've heard from so many reviewers that you can't get any better sound and punch than them for the price. They do also say it's too high highs, but it's fixed with some EQ though. Rockville's passive speakers haven't had high enough ratings for us to do any detailed analysis on them in the past. We will be re-examining this category within the next few months so maybe we'll have something to say about them then, but a quick look at the data suggests to me that they'll have a hard time getting better ratings than other brands. Hey! I have an active15"
Submitted by Naveh Halperin (not verified) on Nov. 22, 2017. Hey! I have an active15" Electro-voice speaker (zlx 15p) that's very powerful and weighs 38 lbs. I don't understand why most of the speakers here weigh more, and some of them are only 12" woofers. Is there an explanation for that? I thought passive speakers were supposed to be lighter in comparison. Thanks! Submitted by Johnny (not verified) on Aug. 31, 2018. The zlx is plastic, most of the speakers shown here are made of plywood. Submitted by Jason Horton on Jan. 11, 2018. Submitted by Christopher Thomas (not verified) on Nov. 7, 2018. Where does the Peavey SP5G fit in this lineup? Submitted by Jason Horton on Nov. 7, 2018. I didn't realize they were still making them - there are no SP 5 series speakers that I could find listed on the Peavey website here or here. Can you provide a link to a Peavey product page?